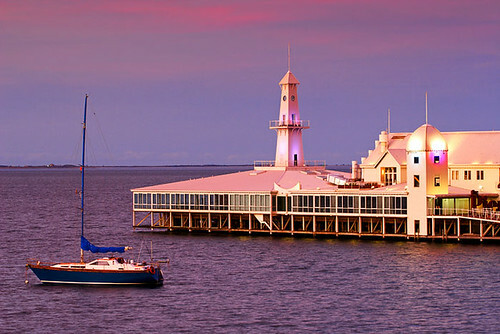 The Cunningham Pier is one of the highlights of the Geelong Waterfront area. It's a popular attraction amongst locals and visitors from out of town, where they can enjoy a meal and drink whilst overlooking Corio Bay. It's great area to investigate on foot, with cafes, restaurants, and childrens' playgrounds all at your fingertips. 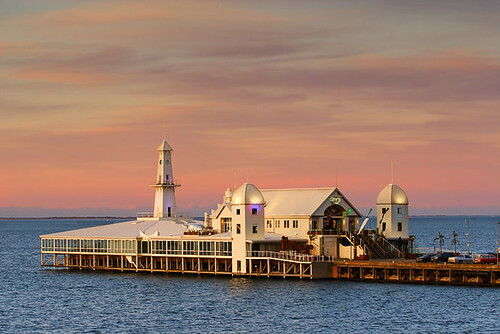 This photograph of the Cunningham Pier at Geelong in Victoria, Australia is available for sale in a variety of quality print products. Purchasing is easy via the internet, and each product comes with a money back guarantee. If you're looking for a quality framed print to decorate a feature wall in a living area in your home, or a wall in your office, you'll find framing, matting and size options to suit your budget. Cunningham Pier, Geelong, Victoria, Australia IMG_2419_Geelong, a photo by Darren Stones Visual Communications on Flickr. The lighthouse at Kiama, New South Wales was established in 1887 and is located on Blowhole Point. 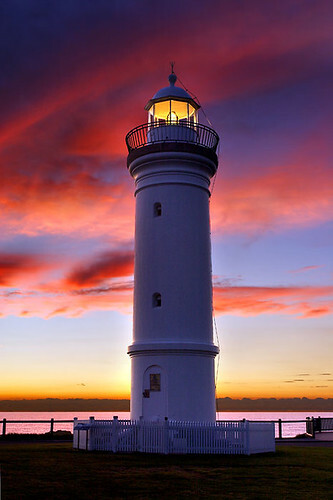 This photograph of the Kiama Lighthouse is available for sale in a variety of quality print products. Purchasing is easy via the internet, and each product comes with a money back guarantee. If you're looking for a quality framed print to decorate a feature wall in a living area in your home, or a wall in your office, you'll find framing, matting and size options to suit your budget. Kiama Lighthouse, New South Wales, Australia IMG_3977_Kiama, a photo by Darren Stones Visual Communications on Flickr. From now until August 23, 2011, I’m having a Lucky-For-Some 13% OFF SALE. This offer is specifically for stock photographs which I license to people like you for your various business projects. 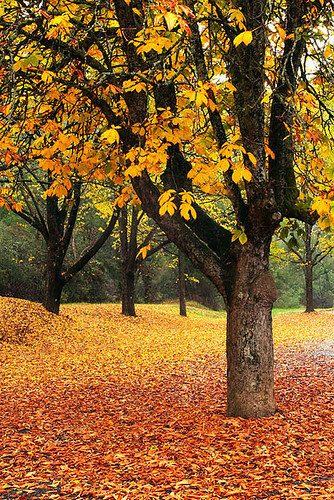 Bright in Victoria's high country during autumn is one of the finest places in Australia to see deciduous trees in all their colourful splendour. This photograph of Brigh, Victoria, Australia, is available for sale in a variety of quality print products. Purchasing is easy via the internet, and each product comes with a money back guarantee. If you're looking for a quality framed print to decorate a feature wall in a living area in your home, or a wall in your office, you'll find framing, matting and size options to suit your budget. Bright, Victoria, Australia, autumn IMG_9723_Bright, a photo by Darren Stones Visual Communications on Flickr. The coastline and small rocky outcrop at Point Lonsdale during sunset is a spectacular sight. Located on the scenic Bellarine Peninsula, Point Lonsdale is a popular weekend day trip destination for residents of Melbourne, Victoria, Australia. 100 kilometres south-west of Melbourne. 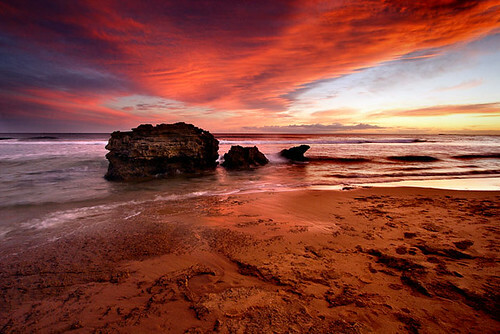 This photograph of Point Lonsdale, Victoria, Australia, is available for sale in a variety of quality print products. Purchasing is easy via the internet, and each product comes with a money back guarantee. If you're looking for a quality framed print to decorate a feature wall in a living area in your home, or a wall in your office, you'll find framing, matting and size options to suit your budget. Point Lonsdale, Victoria, Australia IMG_5230_Point_Lonsdale, a photo by Darren Stones Visual Communications on Flickr. A view of Merimbula Lake during the morning. 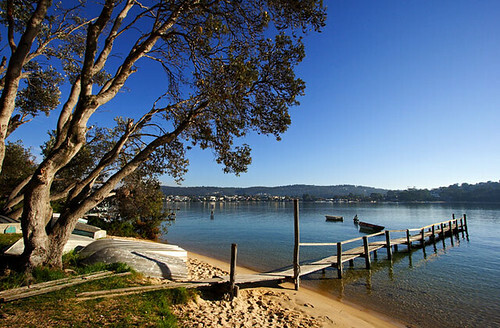 Merimbula is a popular holiday resort town located on the Sapphire Coast in New South Wales, Australia. This photograph of Merimbula Lake, New south Wales, Australia is available for sale in a variety of quality print products. Purchasing is easy via the internet, and each product comes with a money back guarantee. If you're looking for a quality framed print to decorate a feature wall in a living area in your home, or a wall in your office, you'll find framing, matting and size options to suit your budget. Merimbula Lake, New South Wales, Australia IMG_7864_Merimbula, a photo by Darren Stones Visual Communications on Flickr. Cunningham Pier, Geelong, Victoria, Australia IMG_2410_Geelong, a photo by Darren Stones Visual Communications on Flickr.